Everyrhing was perfect, extremely friendly hosts, especially Mrs Despina! Apartment was great! Owner's were kind, helpful and very nice people! Location is excellent. Close to beach and city centre, but still very quiet. Everything was excellent and clean! We strongly recommend this place. Great location. Staff is the best. Very clean and confortable. Like most locations there I suggest to have more international TV stations instead of 95% Greek. I spent an excellent stay. Thanks Ms. Despina for reception and for generosity . I hope we'll see next year. Everything was wonderful! First of all the hosts, Ms Despina and her family are very friendly and they took care of all our needs. 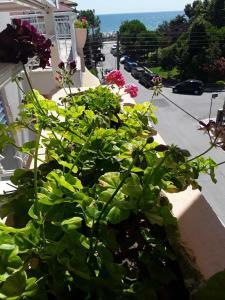 We had a very nice apartment, very clean and with large balcony. The building is very close to the beach, to restaurants and shops. Many thanks Ms Despina and her family for the hospitality and for the delicious cookies/cake and doughnuts. For sure we will go back and we recommend it to everyone! Very clean, very quiet place. Ms. Despina was our “vacation mother”-like she said :)- , she made very good donuts for us. Everything was excelent ! Thank you , Ms. Despina for all ! Location was excellent! The owners were so nice and helpful that we felt like home!! Good location. The rooms were very clean. Pleasant, friendly host. Very nice place. It is located in the resort outskirts but only about 10 min away from the city center. There is no breakfast included but there is a marketplace about 3 min away and a bakery about 7-8 min away. The hosts were very polite and there were almost a biscuit for my kid when we were going out or in /and my daughter was very happy with it :)/. The beach is about 60 meters away but if you like a less crowded place then you can ask the hosts. We have visited such a beach about 800 meters away so if you have a car it won’t be a problem. 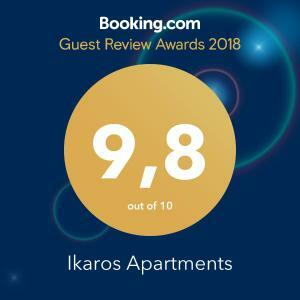 Lock in a great price for Ikaros Apartments – rated 9.8 by recent guests! 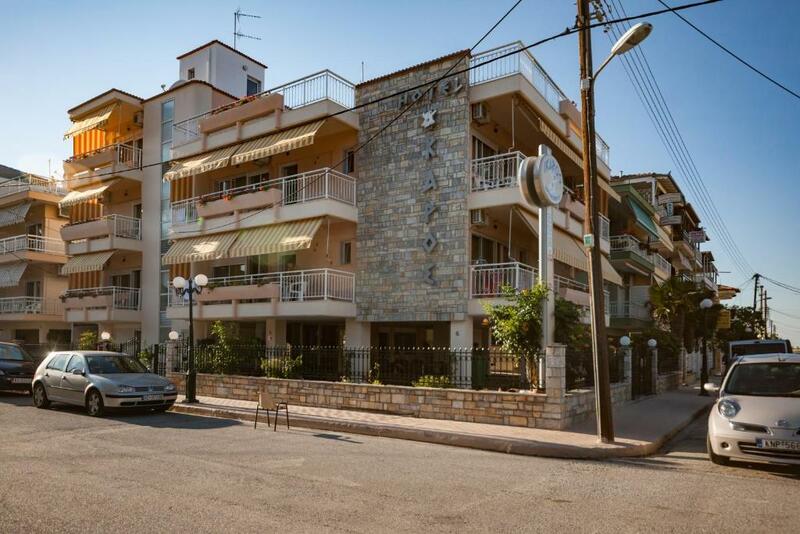 Just 150 feet from the beach of Paralia Katerinis, Ikaros Apartments is centrally located near restaurants, shops and beach bars. 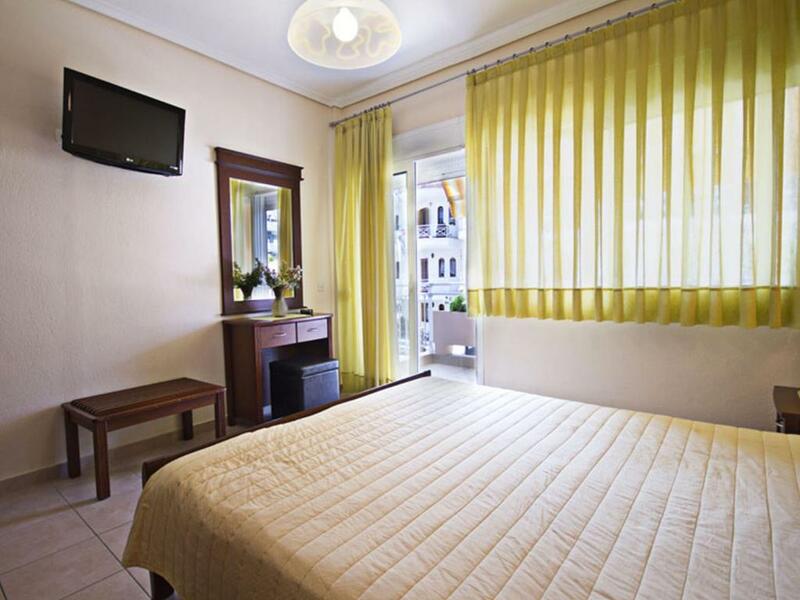 It offers tastefully furnished apartments with free Wi-Fi access. Decorated in earthy colors, the air-conditioned apartments at Ikaros include a kitchenette and private bathroom. They are all equipped with a flat-screen, satellite TV and mini fridge. Within 12 mi, you can visit Mount Olympos and the archaeological site of Dion. The city of Thessaloniki is 50 mi away and Makedonia International Airport is at 56 mi. Free on-site parking is possible. 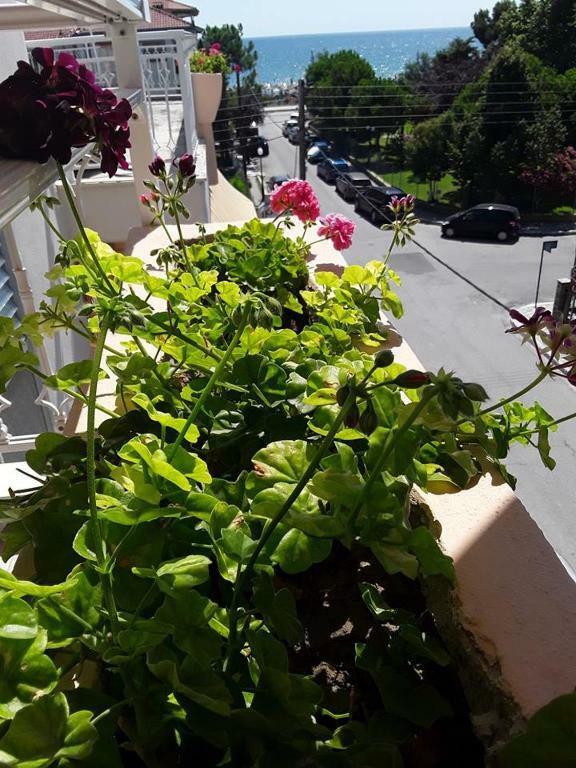 뀐 Located in the top-rated area in Paralia Katerinis, this property has an excellent location score of 9.8! 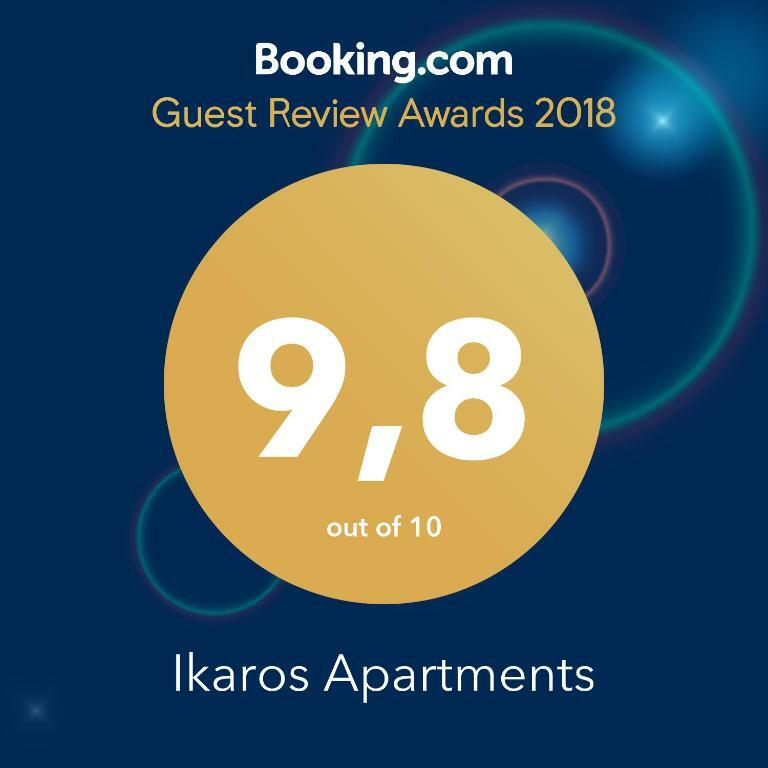 When would you like to stay at Ikaros Apartments? Tastefully decorated in earthy tones, this air-conditioned apartment includes a kitchenette, flat-screen, satellite TV and free Wi-Fi. The beach of Paralia Katerinis is 164 feet away. This apartment has a electric kettle, patio and stovetop. House Rules Ikaros Apartments takes special requests – add in the next step! 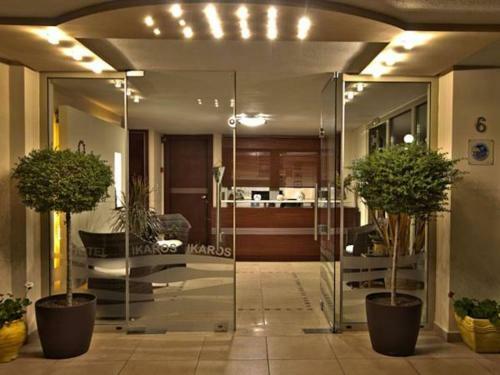 Ikaros Apartments accepts these cards and reserves the right to temporarily hold an amount prior to arrival. Please inform Ikaros Apartments of your expected arrival time in advance. You can use the Special Requests box when booking, or contact the property directly using the contact details in your confirmation. 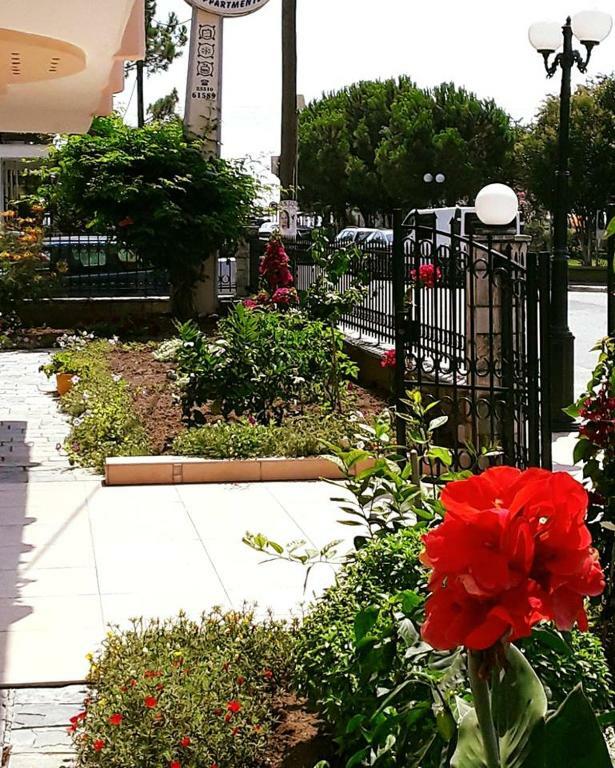 Everything in the hotel is very good, the apartment was very clean and comfortable, the owners are very kind and nice, Mrs. Despina prepared coffee and homemade donuts for us, we feel like home.Thank you for the perfect hospitality, i recommend it to everyone !! If I can say something negative, it is that it was a bit noisy around the hotel in the evening. Everything was Wow. The host is extremely friendly and met all our needs. 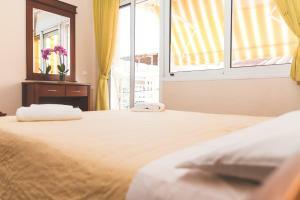 The rooms are large enough, very clean and the kitchen is well equipped. I was not missing anything and we were with 2 year old kid. The covered space downstairs was perfect to spend some time during the rainy days we had. The hotel does not offer food, but the host was bringing us some pastries most of the mornings, and there were biscuits for the kid every time we were passing by the reception desk. 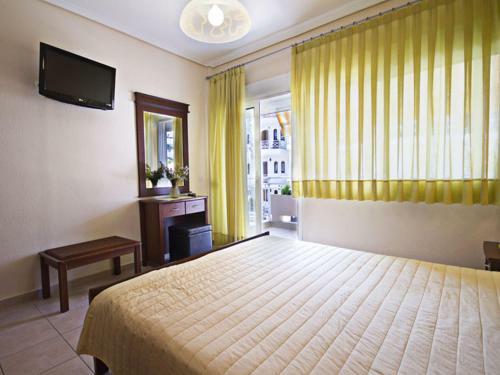 The apartments are very well situated, just within a 2-minutes walk from the beach. The beach is sandy, good and safe for small children. 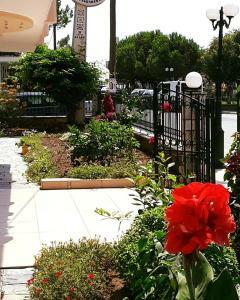 A nice park with attractions for children is nearby, between the Ikaros Apartments and the beach. 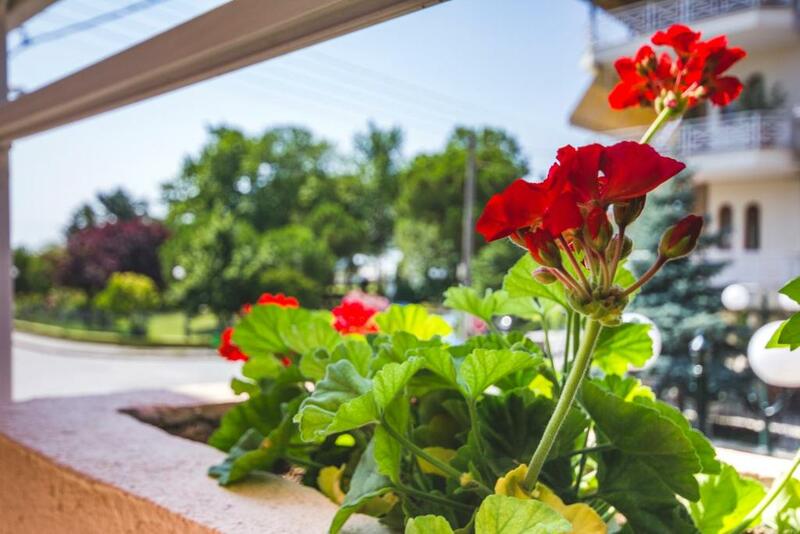 The apartments are ideally clean, spacious, with a large balcony. Our apartment had a nice sea view. The kitchenette is small, but well equipped. On the ground floor there is a large patio with tables and armchairs, trees and blooming flowers. Inside the apartments everything is very clever and conveniently designed. The owners are very nice and helpful people. Special thanks to Despina: her everyday help, warm and cheerful hospitality, readiness to answer all our questions and to solve all our problems were wonderful and exceptional. Thank you very much! It has rarely happened to be nothing negative, as it was here. Everything was wonderful. 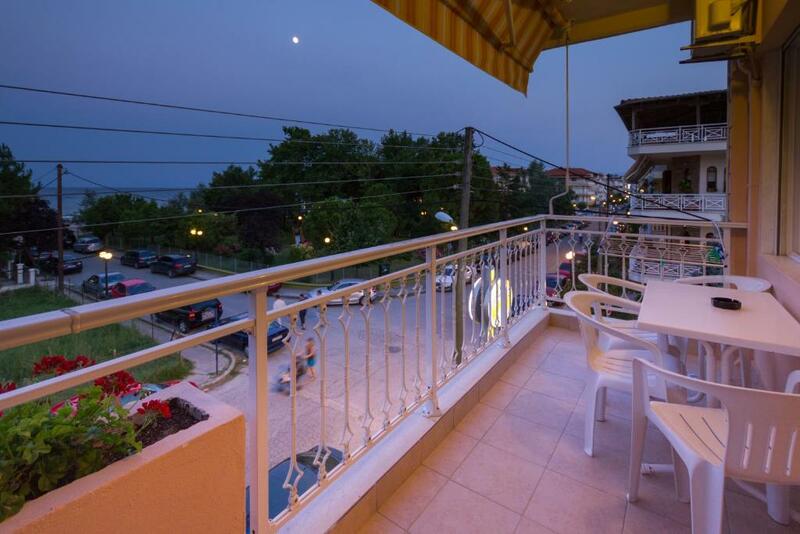 The property is located in a quiet area of Paralia, but close to the beach and the animated center. The building is very well maintained, everything is clean and works impeccably, including wifi. During my stay for a week I did not hear any noise, the walls are well soundproofed, and the guests are being cautioned to respect the peace of others. The large and spacious balcony offers a beautiful view of the sea and a park. For the upper floors (I stayed at 3rd last floor) you can use the elevator. The car can be parked in front of the property. The owner family is adorable, I have a lot to talk about (Despina and Kiki - mother and daughter, they know very well the German and English languages, and Despina's husband - German language), being advised about tourist information, good dining places in Paralia and about using the reserved room at Ikaros. It was a special week spent at Ikaros Apartments, I want to come back anytime.